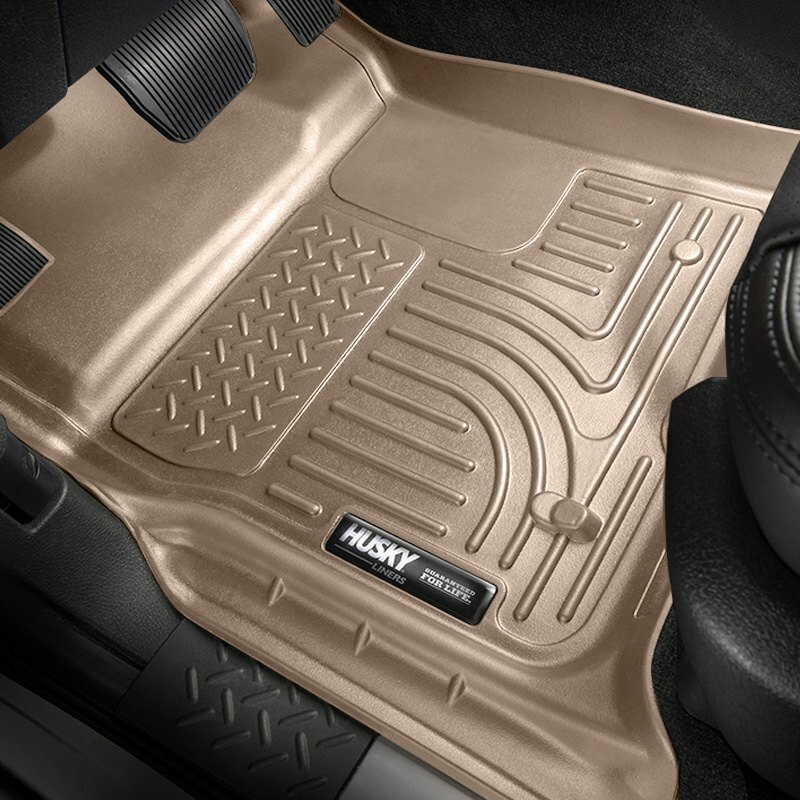 Husky WeatherBeater Floor Liners will keep the floor dry and clean. They are made to provide real protection in all kinds of weather and all kinds of conditions. The liners are designed to work perfectly in extreme cold as well as in extreme heat, to protect your floor from melting snow, salt, mud, sand and all kinds of spills. The channel pattern is developed from Husky’s long time experience with . It has features that make certain that your feet are kept clean and dry. The ridges scrape off snow and dirt. Channels between the ridges trap liquids, sand and mud and keep it away from your feet. A high lip around the perimeter contains the dirt and moisture until it is time for cleaning. The driver’s side liner features a raised heel pad for the accelerator foot and a raised area that provides a comfortable rest for the driver’s left foot. The surface is made to repel dirt, and the pattern has an open design that is easy to clean. The liners come in designs for all parts of your vehicle floor – 1st, 2nd and 3rd rows and center humps – for maximum protection.